Pack your cares away with Go Moving Professional Packing! It’s a busy world, and at Go Moving we understand that preparing for a move is both tedious and time-consuming. Allow our packing services team to relieve your moving worries. There is no need for you to conduct a scavenger hunt to try to locate boxes and supplies! Our moving experts will provide the supplies and manpower to wrap, box, and label the contents of an entire home/business or a single room. Fragile and uniquely-shaped items require attention to detail. Our expert packing service technicians will handle your antiques, fragile items and valued possessions with great care and respect. Go Moving will tailor unpacking services to meet your needs. Once boxes and furniture are placed in the correct rooms, customers have the option to unpack the boxes and arrange the furniture in each room themselves, or we offer a customized unpacking service where our professional movers will unpack boxes, place furniture where directed and haul away empty boxes. As with all Go Moving services, customized free quotes for packing/unpacking are provided. You only pay for the services and supplies required for your unique move! Perhaps you just need the manpower to load/unload a truck, trailer, pod, storage unit, or vehicle. At Go Moving, we have the professional movers who will load/unload your belongings and move them to where directed. Back injuries from incorrectly lifting or moving heavy items can lead to life-long pain and suffering. Our loading & unloading services include the proper equipment and trained movers to handle your particular situation. Don’t risk injury to yourself or others – let us do the heavy work! Free online and phone quotes are based on a point system which includes the number of items to be loaded/unloaded along with the equipment needed to safely handle your goods. Just Need Moving Boxes & Supplies? Go Moving carries wrapping paper, bubble wrap, mattress bags, boxes, wardrobe boxes … even TV boxes to make your packing a little easier. > 10 & 25lb Rolls. 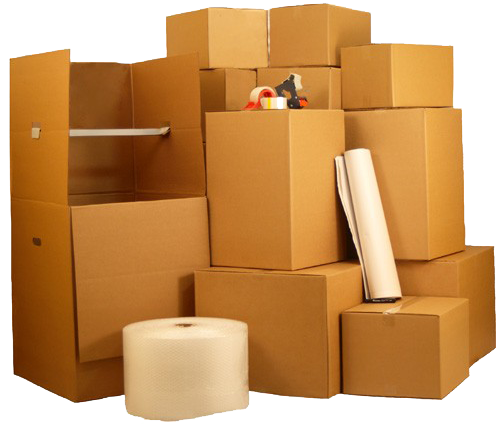 Residential & Commercial including complete packing services. Get professional movers for home staging, furniture arrangement, load & unload, moving large items like Pianos and Jacuzzi's ... our experienced staff will get the job done! Professional wrapping, boxing and labeling. IT moves, industrial items, modular furniture, corporate relocation's... we do it all! Packing/unpacking items from your rental truck, storage container, or vehicle and moving them to where directed. Removal of junk and clutter from your home or office makes the move much easier. Business Movers You Can Trust. Click or Call – the choice is yours. Free online and phone quotes are based on a point system which includes the number of items to be moved, weight, size, and distance. This allows Go Moving to provide an accurate quote, and it allows customers the ability to better manage the cost of moving. Visit our Facebook page!